Ultra Modern 2 Storey in popular Holiday Park. 1,340 sqft family home with many options to choose from. 2+1 Bedroom, 3 Baths. Inviting and open floor plan, lots of windows and natural light, pleasant and cheerful environment, professionally decorated, great floor plan. Affordable luxury, many upgrade options, do it your way! Zero maintenance exterior, fantastic 10 x 20 finished deck, great for entertaining and sun tanning. Suite potential up to 2 Bedrooms; legal suited. Great mortgage helper, garage is optional. All taxes inclusive in price, GST rebate to the builder. A fabulous home built to your taste. Custom designed, built and decorated. Classic home at a fair price. Call to view today! 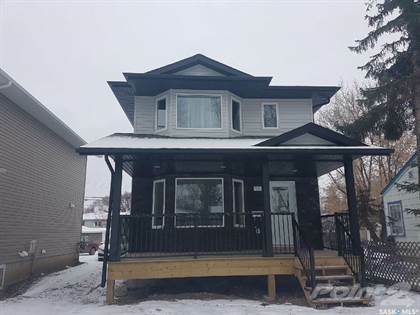 Hi, I'd like to find out more information about 1206 K AVENUE S. Thanks so much!